Designed exclusively for Joseph Joseph, the Double Dish provides the perfect solution to the problem of serving snacks such as olives and pistachio nuts, with their inedible stones and shells. Its unique design comprises of a serving dish sitting on top of a larger collection bowl, curved outwards in three places to allow the disposal of unsightly food waste. As well as hiding any waste from view, Double Dish eliminates the need for additional empty bowls on the table. 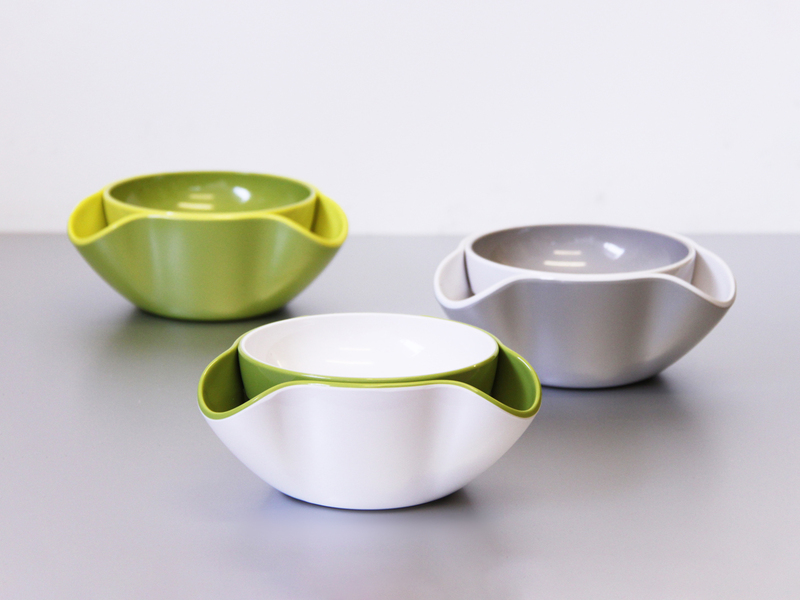 Made from 100% melamine, the two bowls can also be used separately for serving other snacks.